The headliner has been announced! 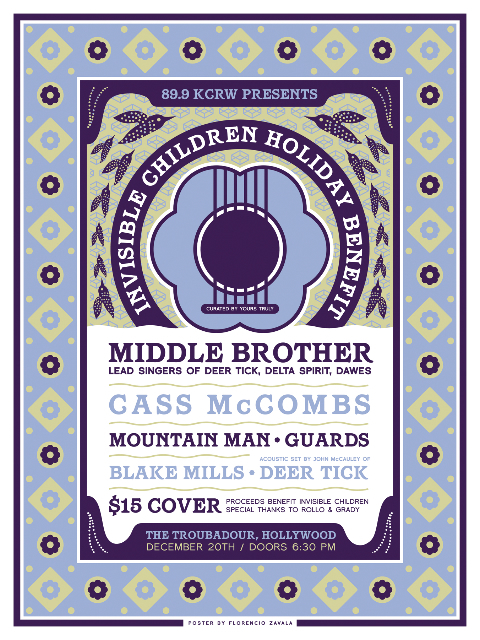 The latest and greatest “supergroup,” Middle Brother, will headline the Invisible Children benefit at the Troubadour on Monday, December 20. Middle Brother consists of: John McCauley of Deer Tick, Taylor Goldsmith of Dawes, and Matthew Vasquez of Delta Spirit. Also added to the bill as a co-headliner, Cass McCombs!!! And Blake Mills! This line-up is pretty damn rad and all for a wonderful cause. Tickets are only $15 and can be purchased online here. There’s a really great event going on Monday, December 20 you won’t wanna miss. As a holiday benefit for Invisible Children, an organization dedicated to ending the longest running war in Africa and bring peace to Uganda where the soldiers are children abducted from their homes and forced to fight, the line-up is gonna be insanely good and full of surprises. Already on the bill is Mountain Man, Guards, with a special acoustic set performed by Deer Tick frontman John McCauley. Oh, and a secret headliner that will be announced later today. All I can say is again, you won’t want to miss this show. It’s gonna be the goods in so many ways. 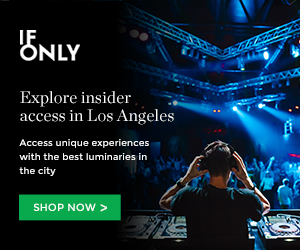 The event is presented by KCRW and curated and filmed by one of our favorite blogs, Yourstru.ly (they make some awesome vids featuring many of our favorite musicians). Tickets are only $15 and can be purchased online here. All proceeds will go towards Invisible Children. Don’t sleep on this show! It’s for a great cause and it will sell out! Props to our homies at Rollo & Grady for filling us in on this great event and their help in organizing it. This entry was posted in Uncategorized and tagged benefit, concerts, deer tick, guards, invisible children, John McCauley\, middle brother, mountain man, Shows on December 6, 2010 by Sandra Burciaga Olinger.